Back from a 3 year hiatus, the ORIGINAL Eurokart-Sim development team is proud to offer the first beta of our upcoming World Series of Karting 2011 mod for rFactor. 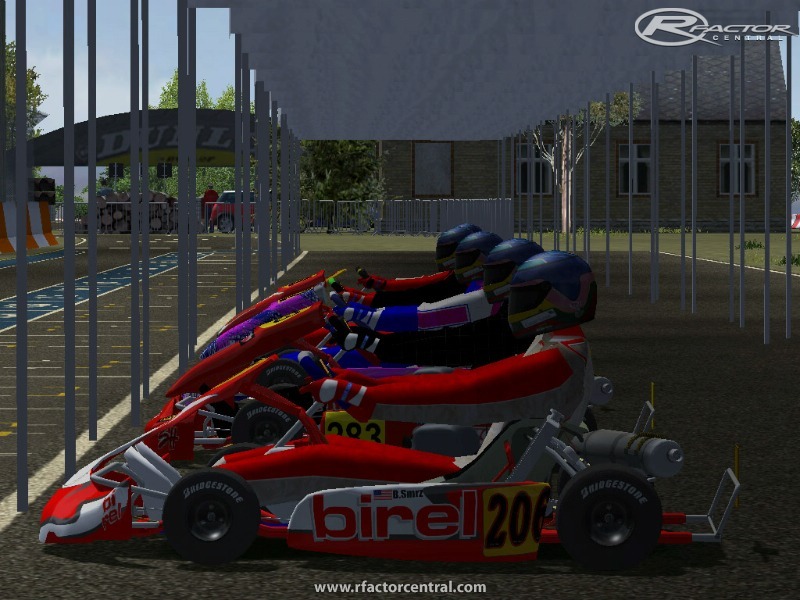 Based upon the hard work done by Eurokart-Sim in 2007, we are building upon our successful ICA v.13 mod by updating the skins and teams to their current version and updating the physics to the SuperKF and KZ1 standards now employed by the CIK. The 0.5 beta version is the first step in our process to bring the mod to current standards and bring it to our revitalized league for which we plan on bringing the key members back together. Although our last work was the Eurokart version 1.00 mod, which succeeded the ICA version 13 mod, we have felt that starting again at ICA version 13 will help to bring back a more realistic feel to the karts. Because of this, this 0.5 beta will look and feel very much like the version 13 intercontinental A mod, with the exception that it now employs only 2 karts per manufacturer and helmets can now be chosen from the rFactor game menu. There are currently no setups for World Series of Karting 2011. Add a Setup. 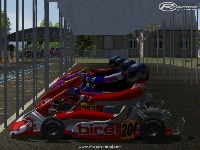 There are currently no car skins available for World Series of Karting 2011. If you are a painter you can share skins for this mod via the Car Skins area. Visit the Spray Booth for painting tips & tricks. I have a problem. When I go to start the Race Season, it says I need a different engine type. I can only get the one engine type I have as their isnt an engine upgrade choice or a different section on the cars page. What do I do? news about the progress of this mod? hey guys noticed one of you mentioned skins, i just made my new forums an now doing requests, so if u need one go to www.wickedartdesignz.freeforums.org and register for the site and put ina request an one of our painters will get it for ya or myself, we also have the lil 24 hour reply back gurrantee we will post back on your skin request 24 within postin it, or less. so yea guys come join over, there maybe get a league going for these put in some opinons on the forums bring karting BACK to rfactor! how i can drive kf1 class, i have only kf2? Yes I can help with the sound problems. Simply a small typo when naming folders can cause havoc, grief and yes..as a modder myself...sometimes a little embarassment....lol. Inside you will see a number of different folders. 2) Open the GameData Folder. Inside the GameData folder you will need to find/work with 2 folders. One is named Sound and one is named Sounds. 3) Move or copy the entire contents of the Sound Folder into the Sounds folder. 4) You will be asked if you wish to overwrite some of the existing files. Click on "yes to all". 5) Delete the folder called Sound and save the folder called Sounds. You are done...i hoped this helped.